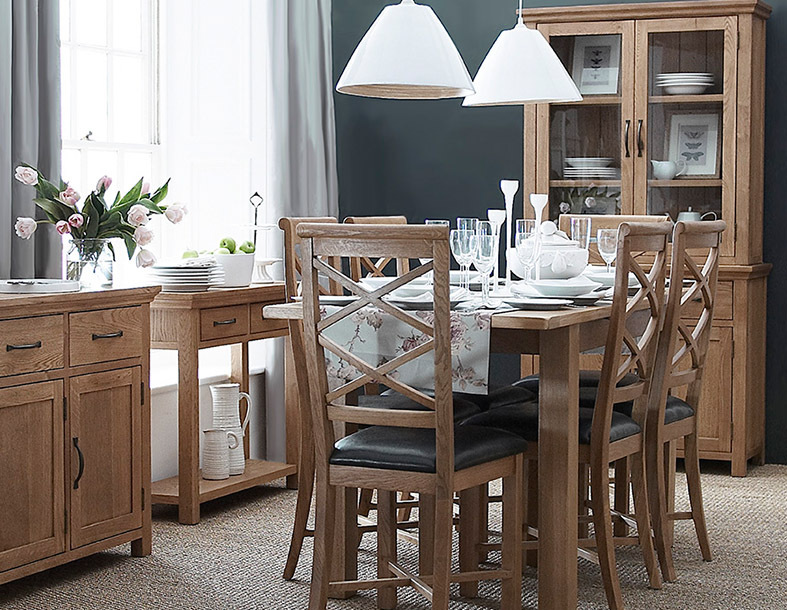 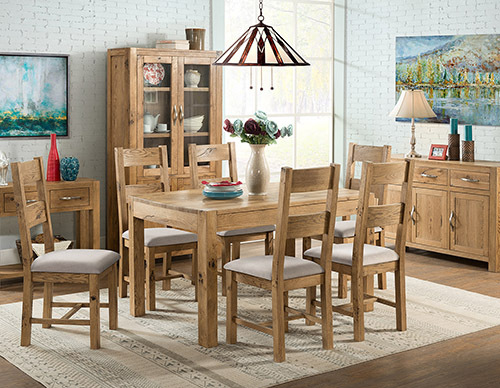 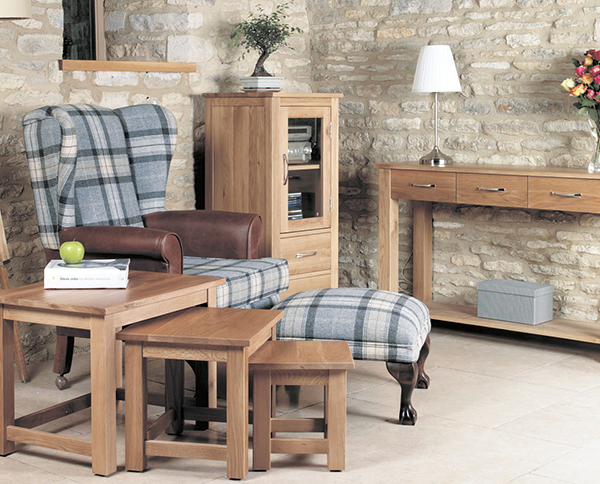 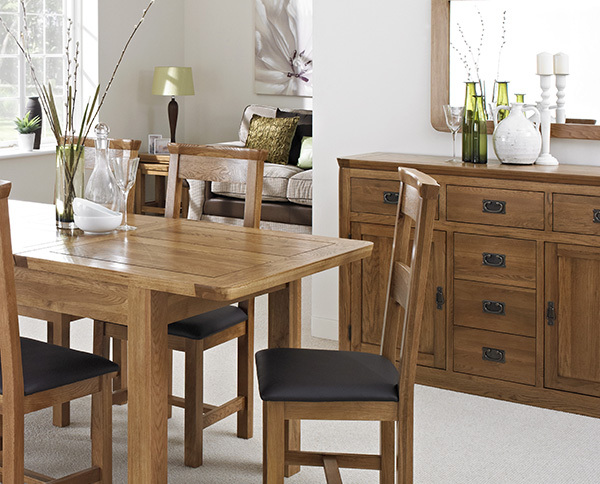 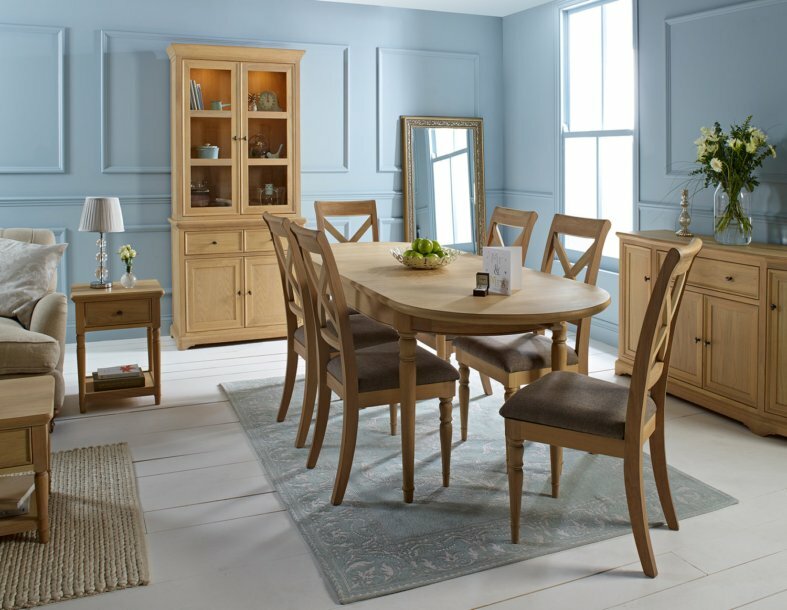 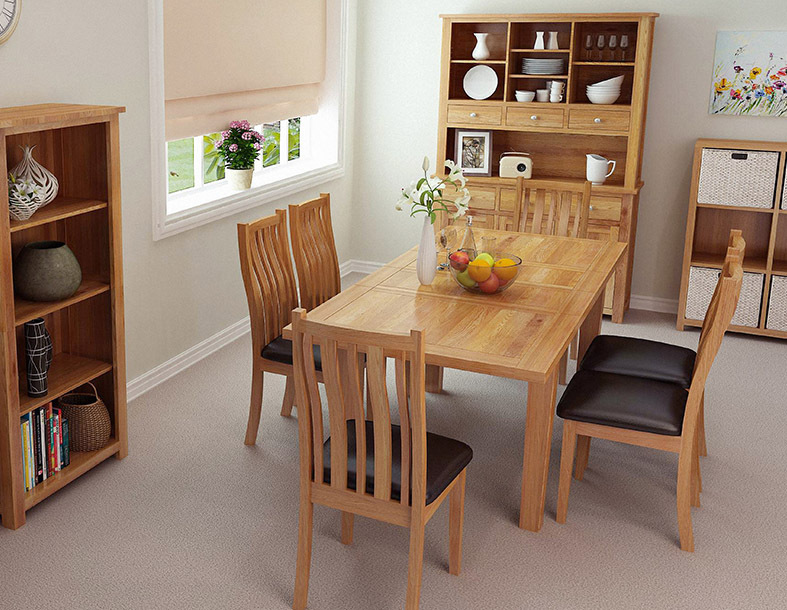 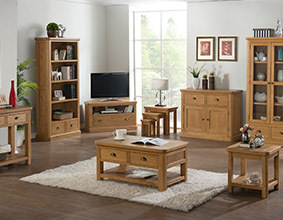 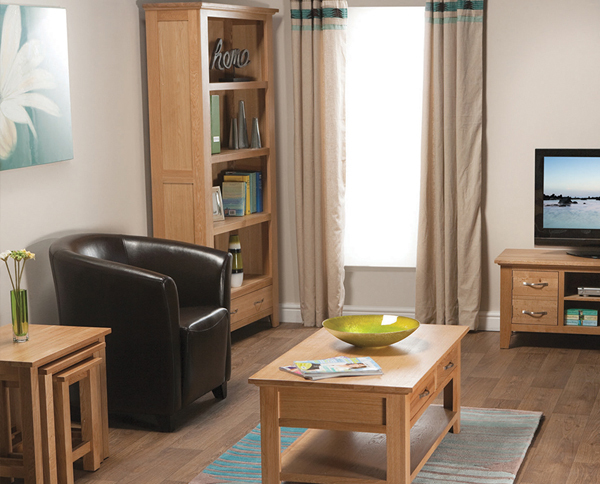 Light oak, with a palette of browns and beiges to suit any colour scheme, offers a calm, relaxing touch to any space, whilst maintaining a modern, contemporary style and offering practical storage solutions. 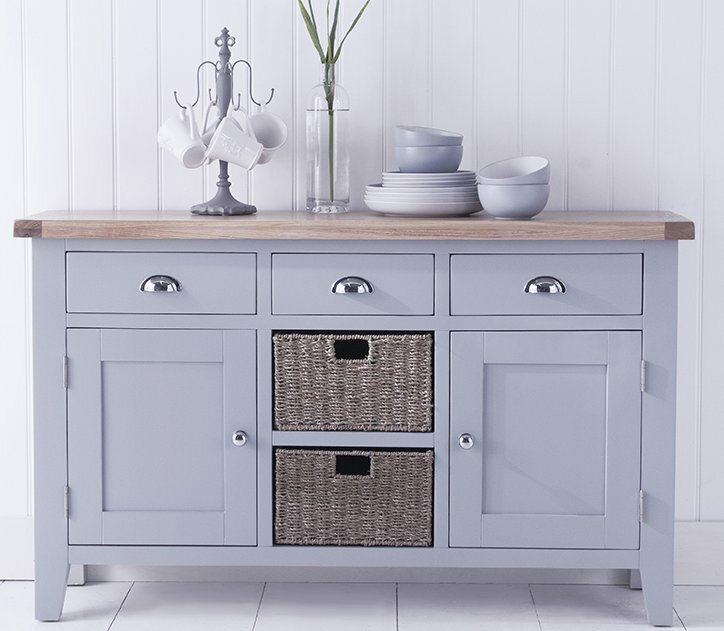 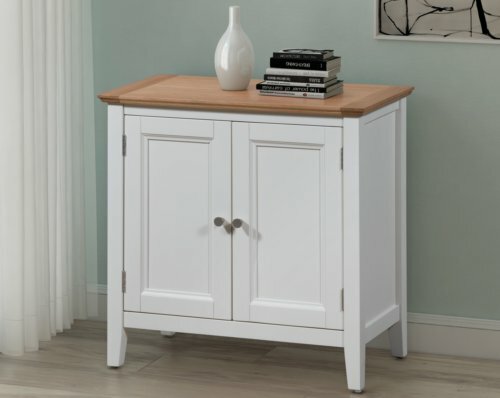 With five drawers – three wide, generous and two smaller, upper drawers – this unit offers ample storage for clothing, accessories, beauty products and small electronics. 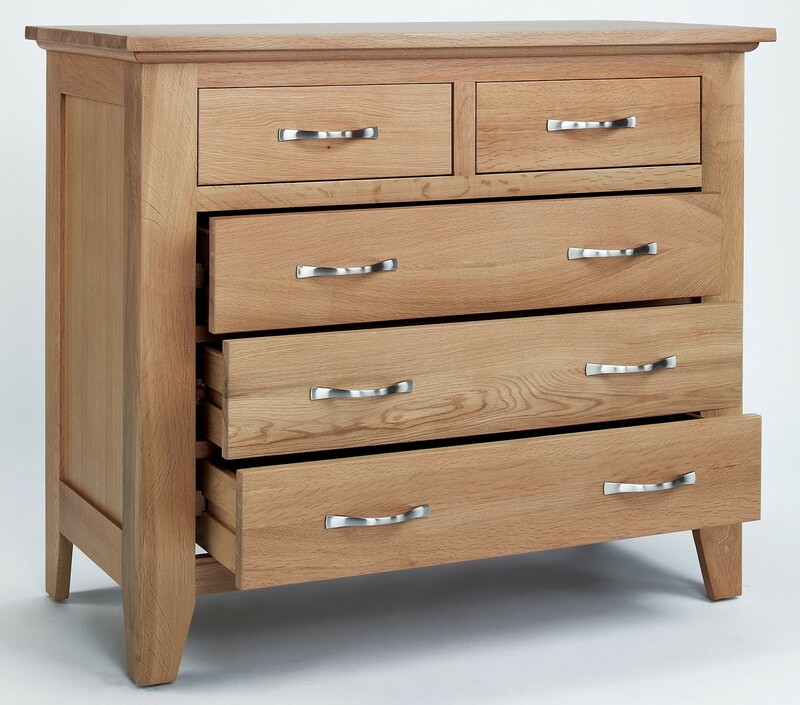 With dovetail joints and brushed steel handles, the drawers offer easy access to your belongings, with reduced opportunity for trapped fingers. 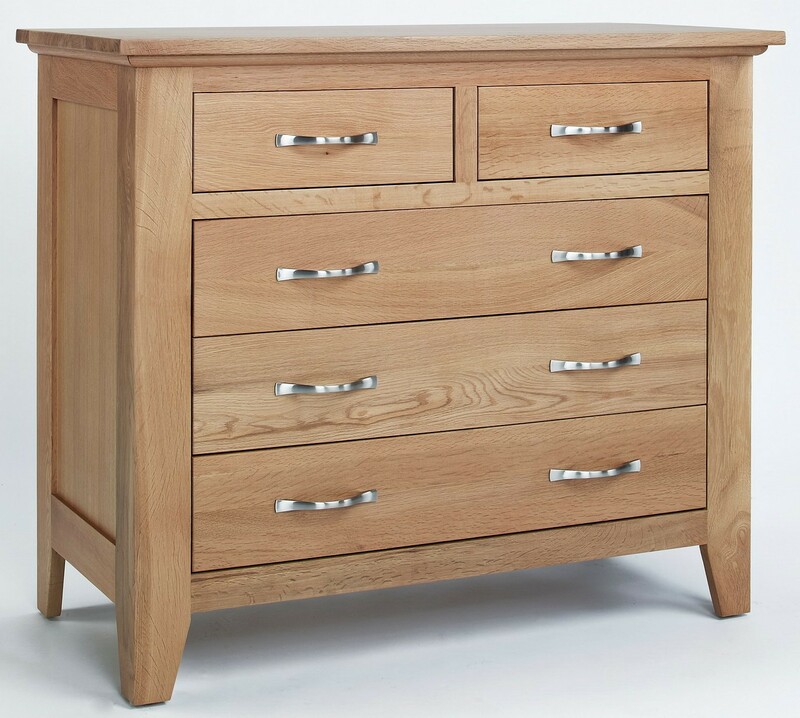 Ideal for bedrooms for any age, this piece is crafted from hard-wearing solid oak, with real oak veneers and a coating of natural lacquer which protects the surface from scratches and knocks, whilst enhancing the natural colouring and patterns of the light oak with a light gloss. 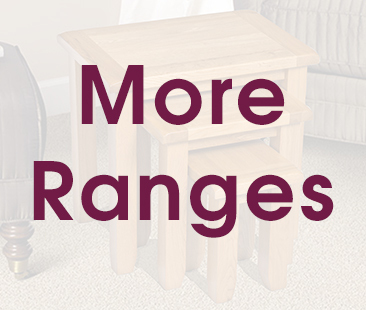 The unit features tapered legs, whilst the upper surface is sturdy and offers space for displaying ornamental items, or further storage options. 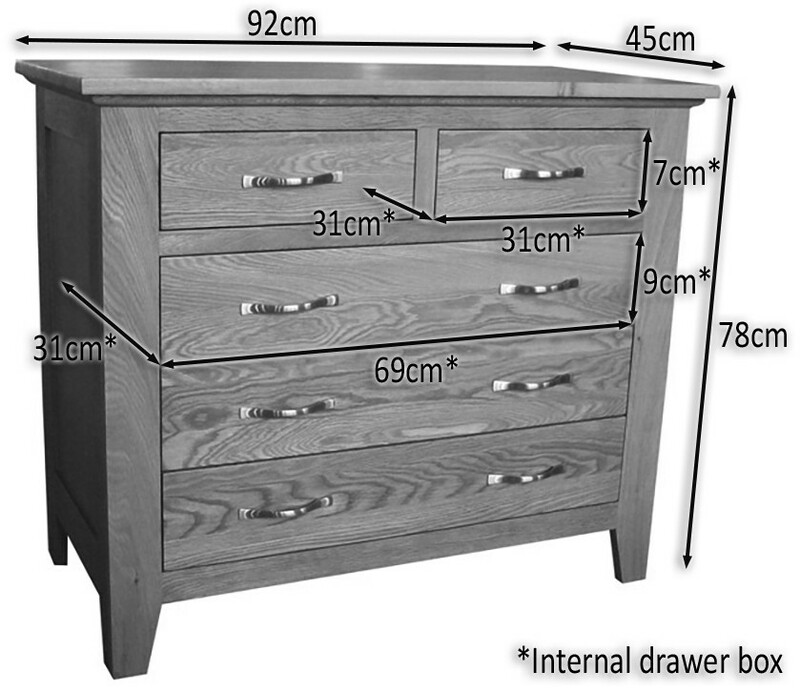 It also comes fully assembled.